This unit is an inquiry activity where students have to build a robot that can survive and explore a..
Spring - game "I have... who has...?" Here's a fun activity to play with your class. There is a beginner version (with full sentences) and..
Voici une affiche qui parle des règles de classe. SI vous aimez et que vous désirez l..
Voici 10 affiches avec plus de 15 phrases utilisées par les élèves. Phrase comme : May I go to wash..
“Teaching Emotions with Freezy the Snowman” is a set of 12 winter activities for grades .. Updated version! This set now includes 52 jobs description cards for your cycle 3 students. It is.. This is a set of 75 conversation cards about Personal Information & Family for your cycle 3 (gra..
Great Value!!! Conversation Cards Bundle: 3 Sets of Conversation Cards (a Total of 185 Cards!) Th..
Great game to practice speaking skills or simply have fun! 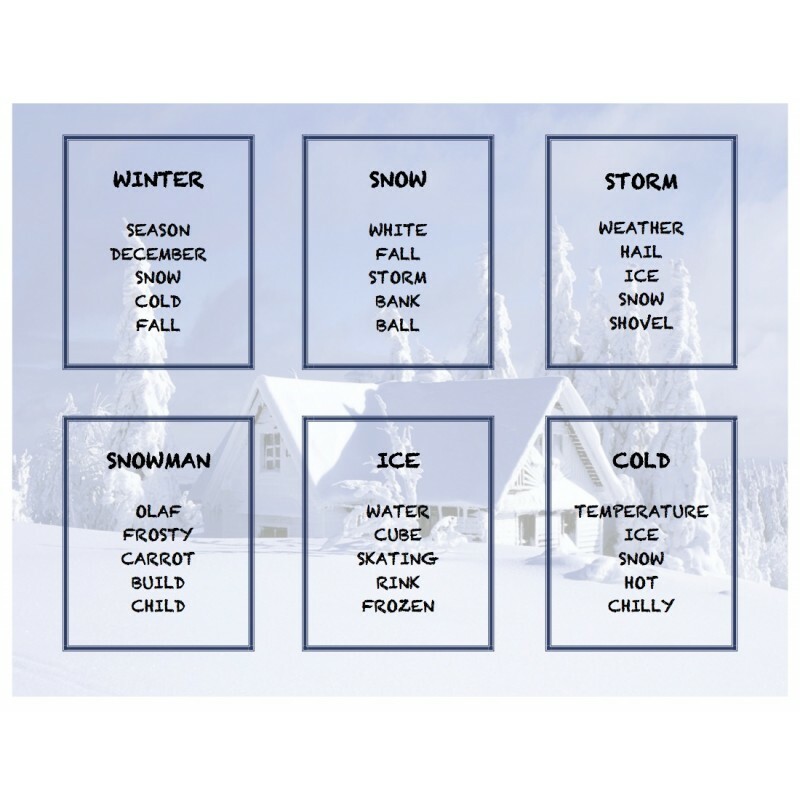 This set contains 84 cards using words related to winter time. Taboo is a great word and guessing game excellent for parties. So why not have a party in class by using this game in class!! In this particular set you will find 84 cards related to winter. The set includes words like shovel, hockey and flurries. It is simple to use and a great time is always guaranteed. Each player must get his/her partners to guess the word on top without using the word or the five other words mentioned below on the card. A workbook for ESL or EFL students. This is the first of two workbooks. (Second one is entitled &quo..
A workbook for ESL or EFL students. This is the second of two workbooks. (First one is entitled &quo..
TOPIC: Skilled for Life Based on material from previous ministerial examinations, this ..
TOPIC: Adventures Based on material from previous ministerial examinations, this file is a practi..
***answer key included A listening comprehension for the movie We Bought a Zoo. This eva.. Using the first season of the tv show The Big Bang Bang Theory, this bundle includes seven listening..
*** answer key included A listening comprehension for the movie Zootopia. This evaluatio..